These plated Celtic earrings are a clip on design that feature a green glass stone that is suspended from a love knot motif. 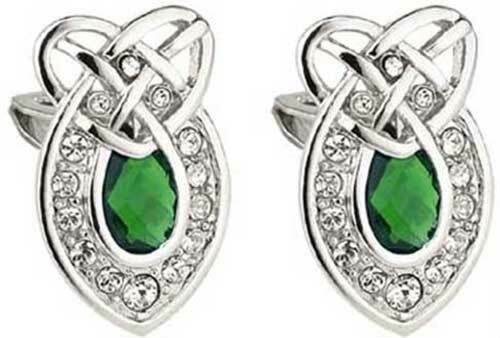 These clip on Celtic earrings feature a knot-work heart above a green glass stone that is surrounded with crystals. The rhodium plated Celtic earrings measure 1/2" wide x 3/4" tall.